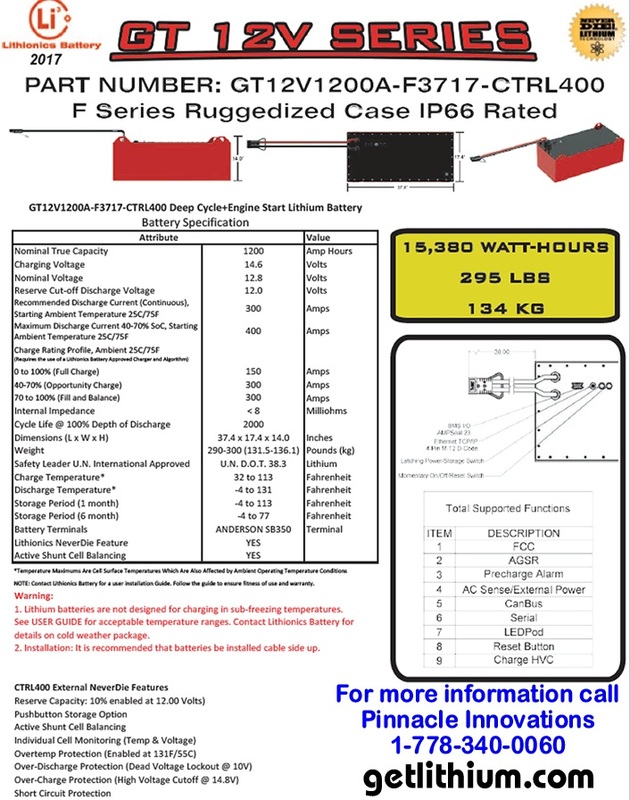 GTR Series 12 Volt (12V) 1,200 Amp hour aluminum case Lithium Ion Battery for Industrial Applications, Van Conversions and Trucks, Marine, Recreational Vehicles (RV), Solar Power Systems and Other Applications - Lightweight, Powerful and Safe Lithionics Lithium Ion Batteries. 37" x 17.4" x 14.0" overall height. 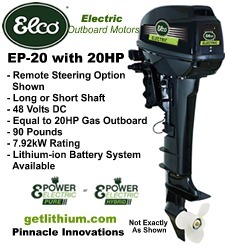 This is the highest capacity single 12 Volt lithium-ion battery that we have with a whopping 1,200 Amp hours capacity. A great, lightweight lithium ion battery with 15,380 Total Watt Hours capacity. CTRL400 NeverDie means this lithium-ion battery is available with internal 400 continuous Amps draw BMS. Please inform us of the intended orientation of the battery before ordering. This Lithionics lithium-ion high performance battery is also available WITHOUT 400 Amp NeverDie Battery Management System (BMS) from $15,963.25 USD. Use Part # GT 12V1200A-F3717-MODULE. Note: MODULE version requires the use of an EXTERNAL NeverDie BMS box. 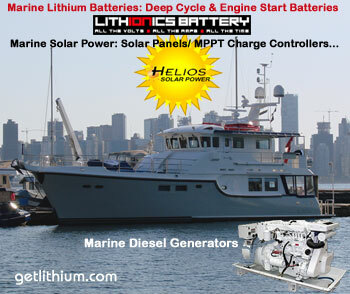 This extremely versatile battery can be used for a wide variety of applications including Deep Cycle House Power for RV and Marine applications, Solar System battery, Industrial Project battery as well as a diesel engine cranking battery for Truck Engines and for Marine Engine Starting on sailboats and yachts. NeverDie Battery Management System included (pushbutton reset/ shut down). 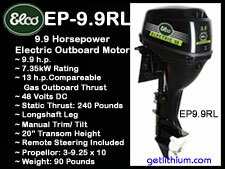 We also offer a "Cold Weather Protection System" for this battery from $679.50 USD.